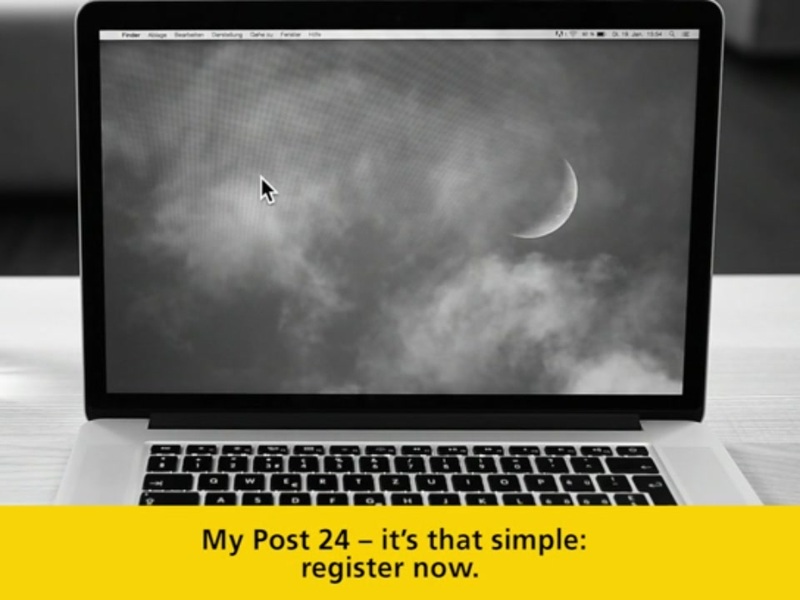 My Post 24 enables you to collect or send parcels and registered letters around the clock. The terminal compartments can also be used as lockers. The My Post 24 services is available to natural persons with their place of residence in Switzerland. 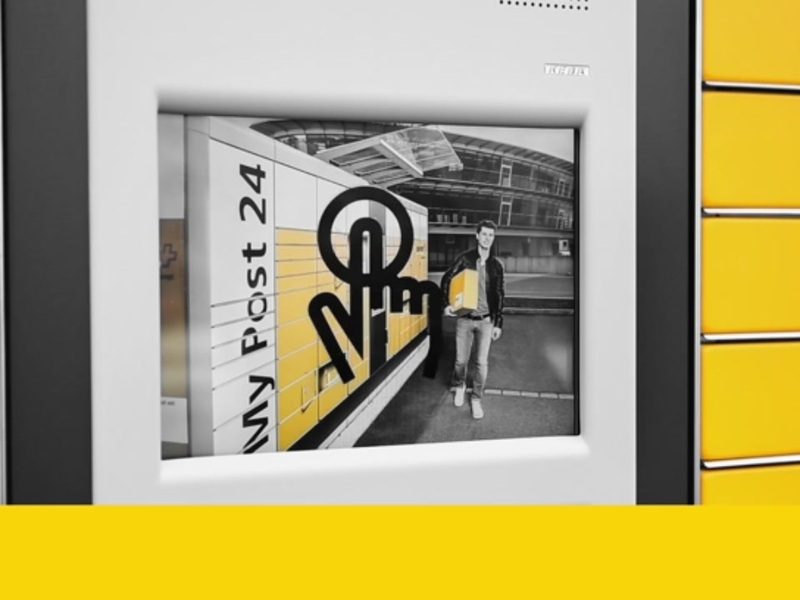 When ordering goods (online, in writing, by phone), enter your first name, last name, the desired My Post 24 terminal, the keyword “MyPost24” with your user ID and the My Post 24 adresse as the recipient address. When your consignment has reached the My Post 24 terminal, you will automatically receive an e-mail and/or MMS from Swiss Post containing your personal collection code (QR code). You can then collect parcel consignments from the relevant My Post 24 terminal at your convenience within ten days, and registered letters within seven days. You can also receive bulky goods and Swiss-Express “Moon” consignments at a My Post 24 terminal. As with normal parcels, simply give the sender the My Post 24 address as the reception address along with your user ID. 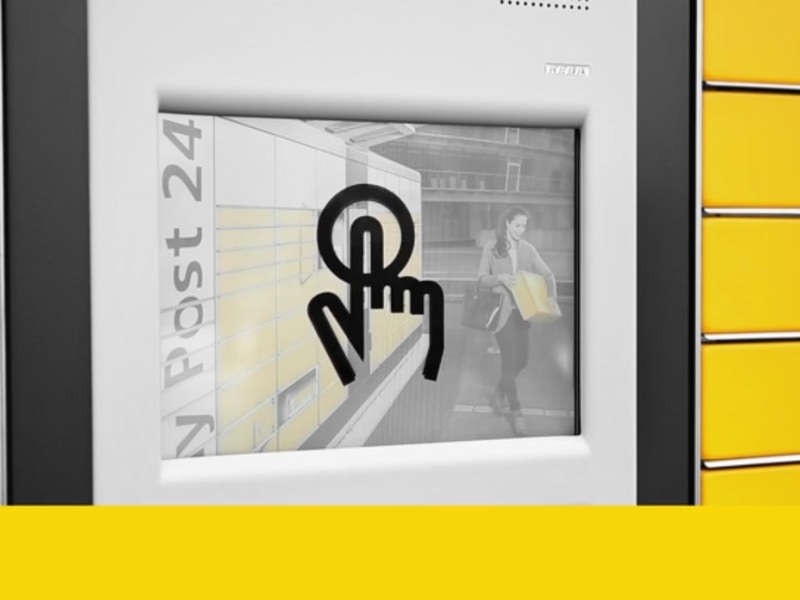 If the consignment is too big for the My Post 24 terminal compartments, the consignment will be forwarded to the nearest PickPost post Office and you will receive a notification concerning collection. 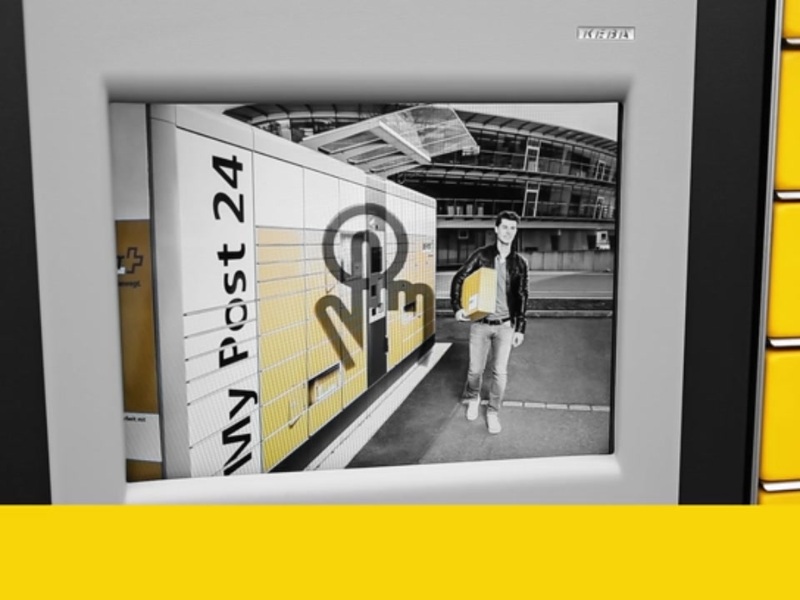 Drop your parcels or registereds off conveniently at a My Post 24 terminal. You can create address labels including barcodes in only a few clicks. Returns with a return label can simply be scanned at the terminal and placed in the corresponding compartment. If the online retailer requires reimbursement for the return, you can pay the amount electronically at the terminal. If you are registered as a My Post 24 customer (user ID and address confirmation), you can also use the My Post 24 terminal compartments as a locker. For example, as a key depot or a handover location for products from online auctions. My Post 24 compartments can be rented as a locker for CHF 4.00/day for between one to seven days. confirmation code for your address. If you have already registered, add the “PickPost and My Post 24” option in the Customer Center under “Settings” and check whether your address has already been confirmed (Customer Center under User Profile -> Address). If your address has not been confirmed, please request a confirmation code. After you have signed up, an e-mail will be sent to you with your personal user ID. You will need this number to enter a My Post 24 terminal as a recipient address. To use the notification by SMS and MMS, you require a mobile phone able to receive MMS with a telephone number registered in Switzerland. You can obtain more information by phone on +41 (0) 800 888 099 or by sending an e-mail to mypost24@swisspost.ch. You can find detailed addressing information for every My Post 24 terminal in the “Locations and opening hours” online service. To access this information, click on “Display location details” then “Your My Post 24 address”. The layout of the My Post 24 and PickPost addresses is identical. Your user ID is the same for both addresses. The “keyword” changes slightly (“PickPost” or “MyPost24”), as does the location address entered. Price overview for sending parcels via My Post 24 terminals. Must I opt for a specific My Post 24 terminal to use for all my consignments? For every order, enter the desired My Post 24 terminal as the reception address along with your user ID. In this way, you can select a different My Post 24 terminal for each consignment. How do I send a consignment with a shipping label? Consignments with shipping labels refer to returns of goods ordered, pre-printed private prepaid labels for parcels and letters, and private WebStamp barcode labels. Prepaid labels for registered letters and private webstamps can be ordered easily and conveniently online in the Postshop. selects whether to print a receipt for the consignment or whether to receive it by e-mail. How do I send a consignment without a shipping label? selects whether a receipt for the consignment should be printed or sent by e-mail. Can request a link for the My Post 24 survey at the end. How can I pay any fees at the My Post 24 terminal? All services and fees can be paid for using the following debit and credit cards: PostFinance Card, Maestro, Visa and MasterCard. Can I have consignments from abroad delivered to a My Post 24 terminal? Import consignments must enter the Swiss Post channel in order to be delivered via My Post 24. This depends on the logistics partner chosen by the sender to ship the international consignment. If in doubt, please ask your supplier for information. What do I need in order to collect a consignment at a My Post 24 terminal? When collecting consignments, My Post 24 customers need only scan the QR code received by e-mail and/or MMS. The compartment then opens automatically and the consignment can be removed. Can my representative collect the consignment at a My Post 24 terminal with a power of attorney? To collect a consignment from a My Post 24 terminal, a representative does not require authorization. You can simply forward the QR code received by e-mail and/or MMS to the desired person. Which consignments can I/can’t I collect from a My Post 24 terminal? SameDay afternoon and SameDay evening consignments cannot be delivered to a My Post 24 terminal. My Post 24 is not available for all consignments. Swiss Post does not deliver SameDay afternoon and SameDay evening mail to My Post 24 terminals.